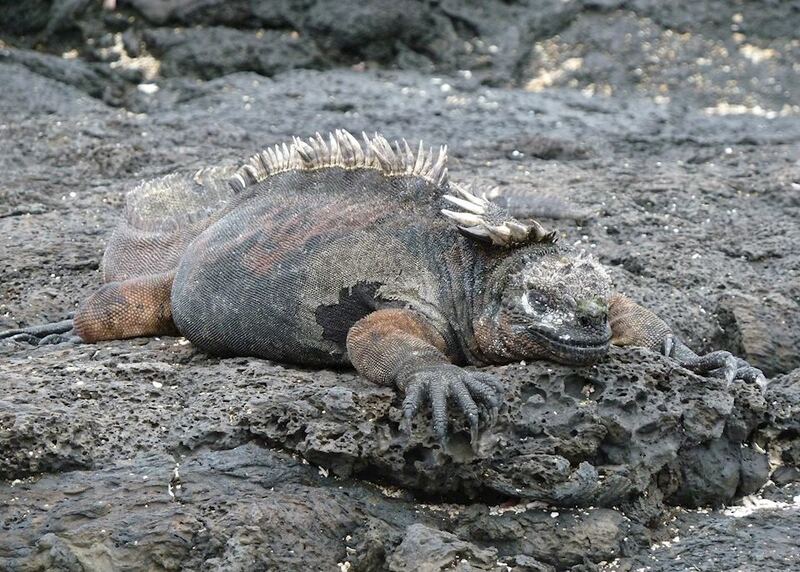 Experience the unique fearless wildlife of Galapagos. 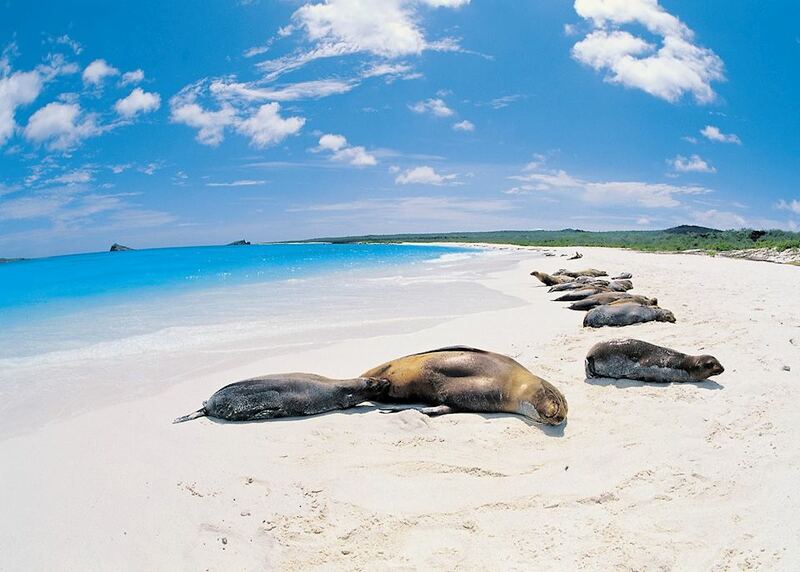 Visit the some of the most remote areas of the Galapagos Islands. 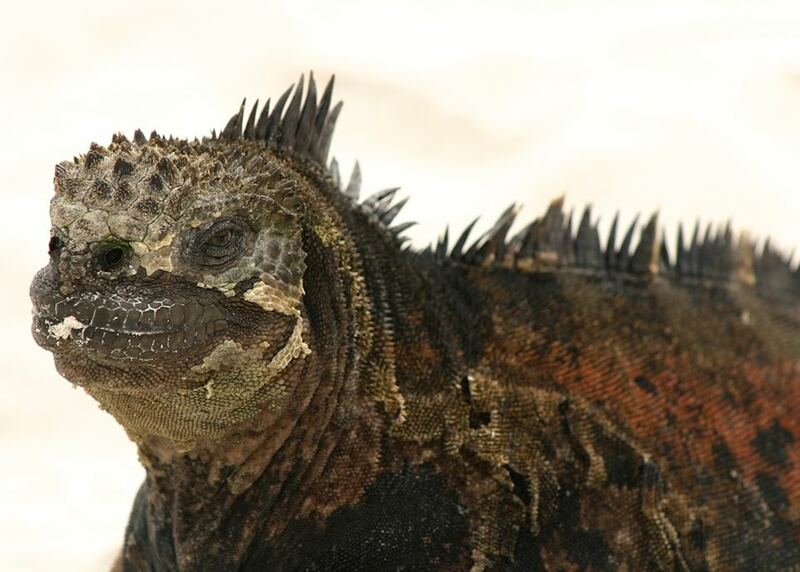 See the marine iguana, the world's only marine lizard. 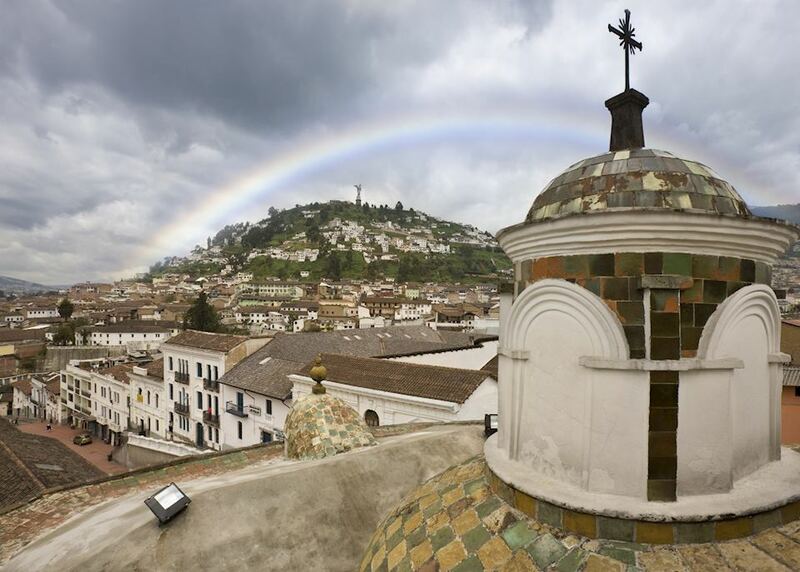 Explore the old town of Quito, a UNESCO World Heritage Site. 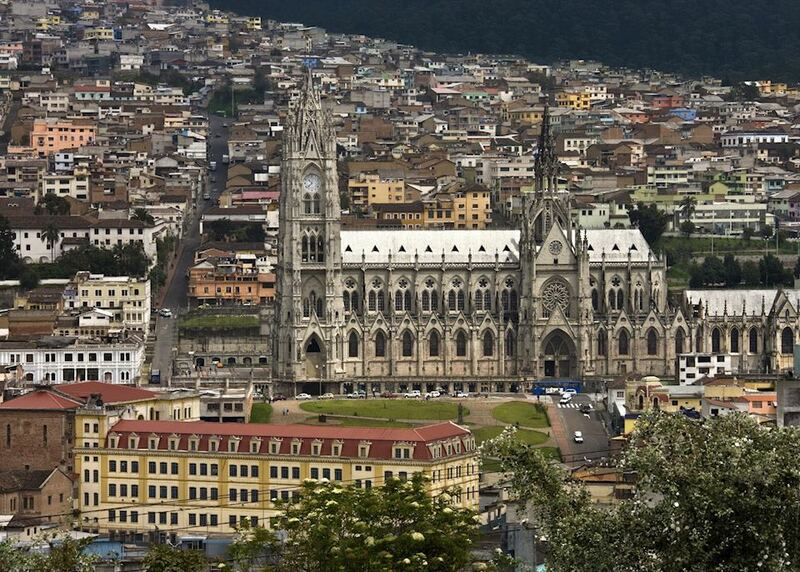 Today you begin your journey by boarding your international outbound flight to Quito. 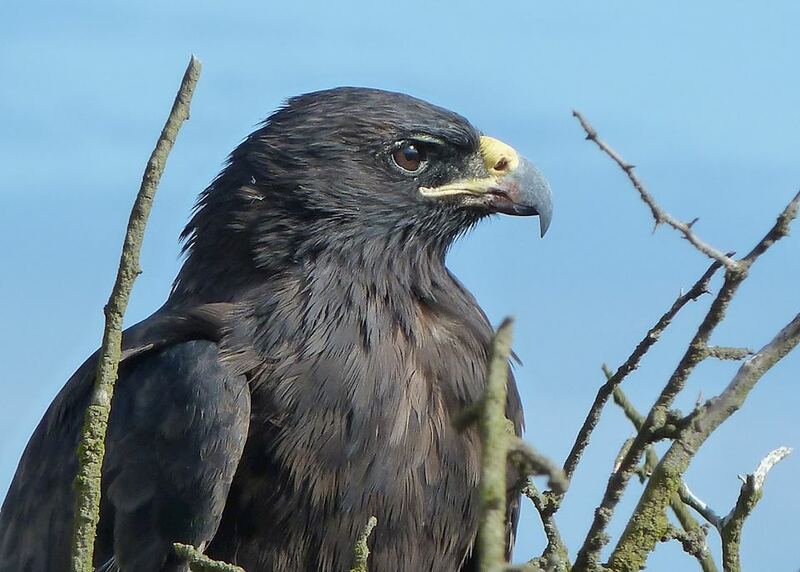 On arriving in Quito you're met by your private guide and taken to your hotel by private transfer. 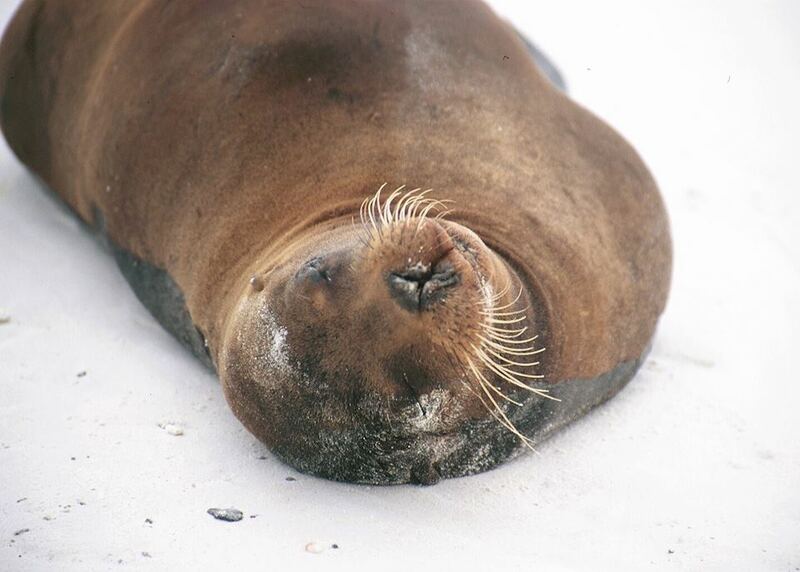 It usually takes an hour to get there, and your guide will provide you with all the relevant introductory information needed for your trip, such as hotel vouchers. Relax in your hotel after your flight. 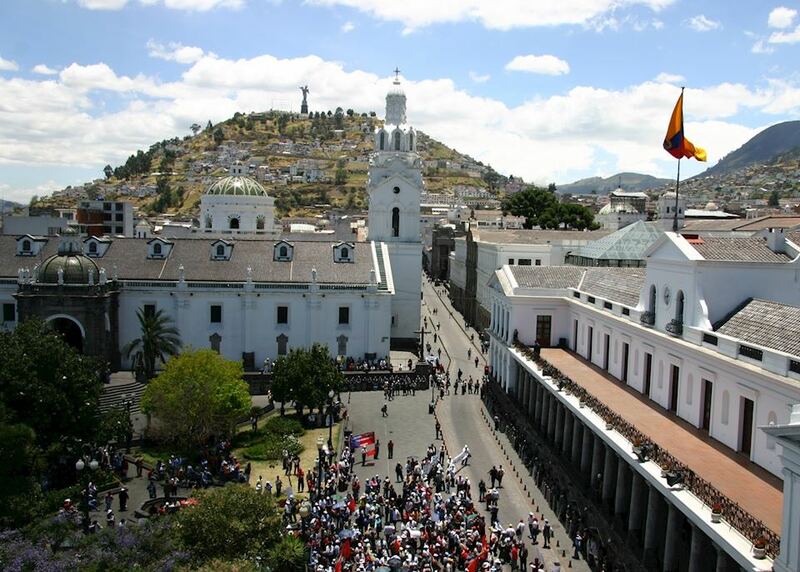 Take a private guided walking tour of the highlights of Quito. 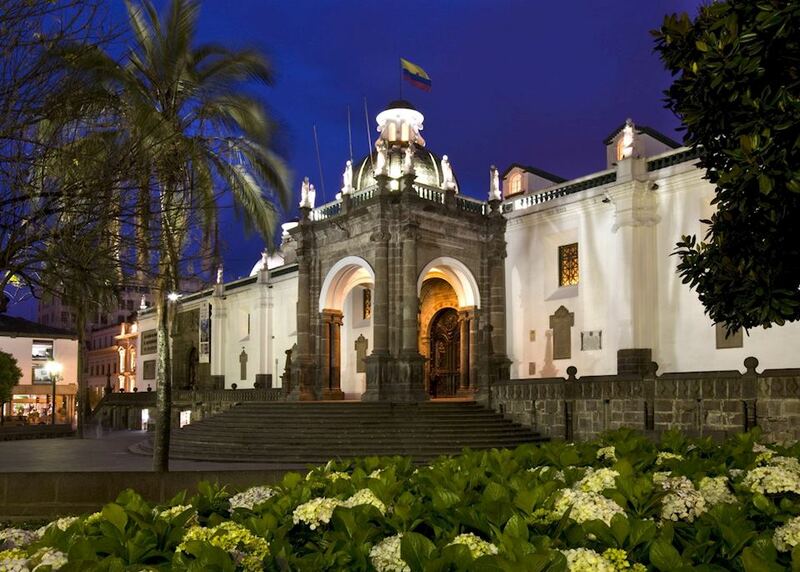 Your guide shows you the city's highlights, such as colonial temples, monasteries and plazas. They'll also help you unravel the grand architecture of the Church of San Francisco. The tour lasts for three hours, ending at a viewpoint over the city. 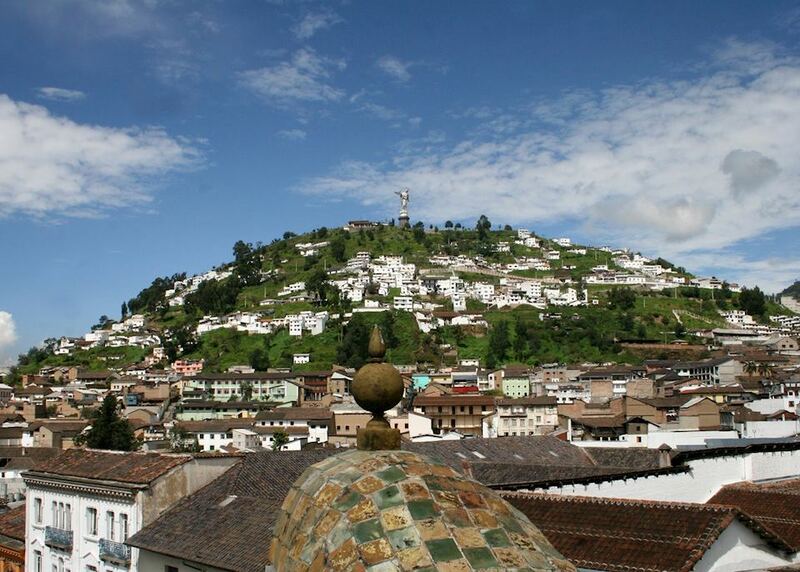 In the afternoon, you're free to keep exploring Quito at leisure. 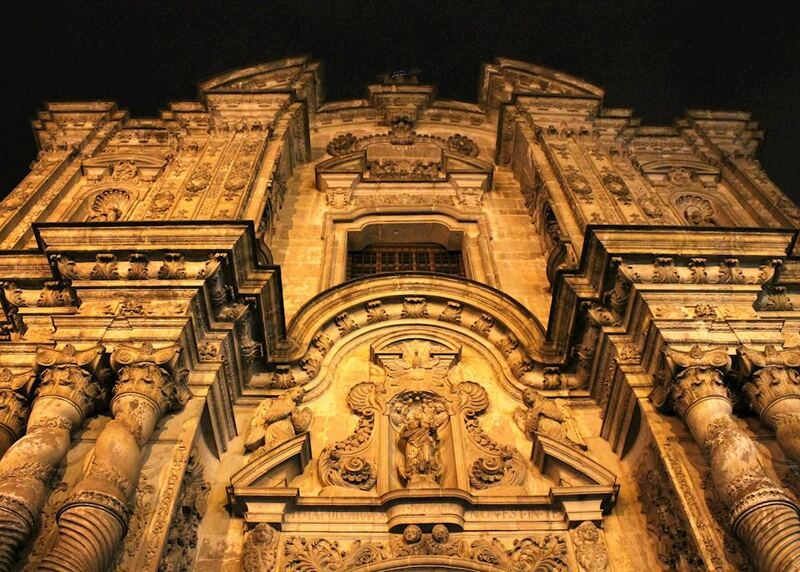 We recommend visiting one of the city's museums, such as the pre-Hispanic art museum Casa del Alabado. 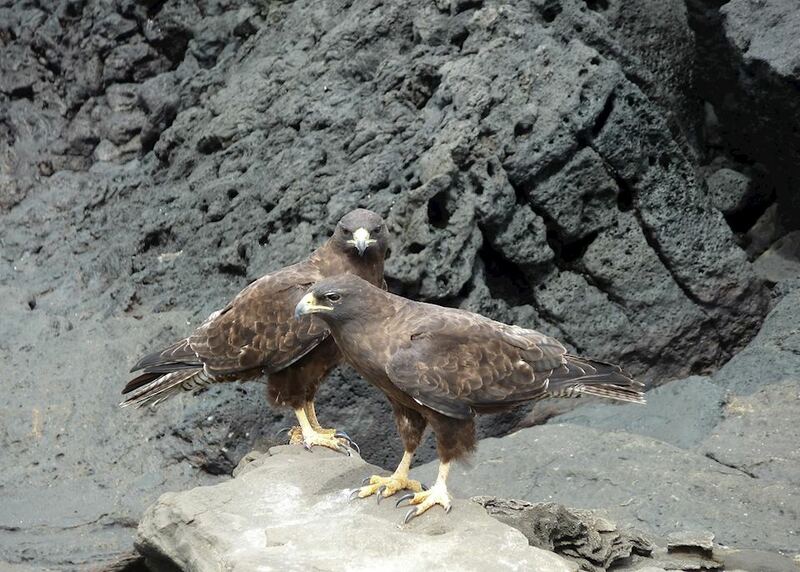 A private transfer will take you to the airport in time for your two hour flight to the Galapagos Islands. On arriving, you're met by members of the crew who will take you to the Yolita II. 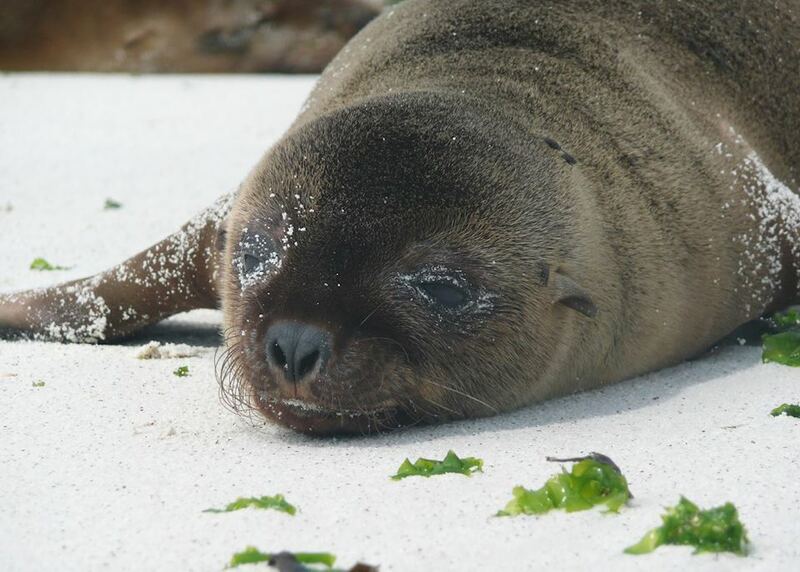 After being welcomed aboard and given a safety briefing, you'll set sail to Las Bachas, a beautiful beach area to get your Galapagos experience started. You'll begin excursions in the afternoon. 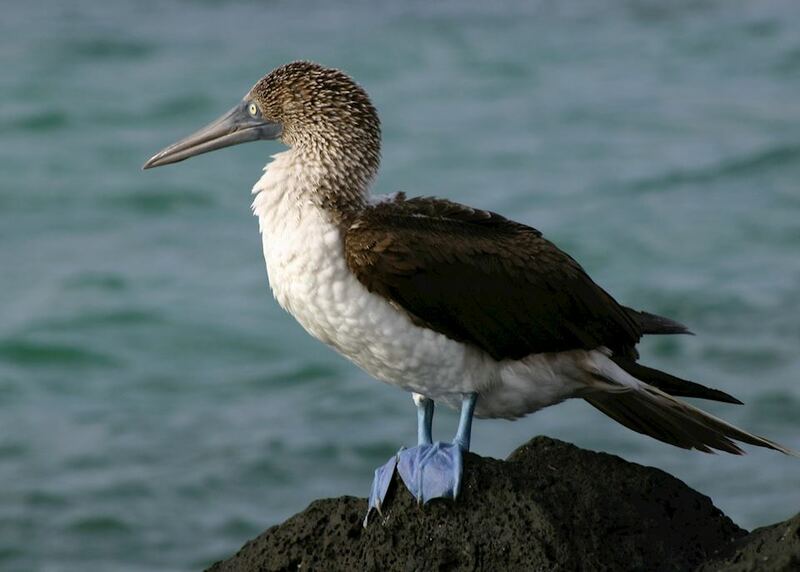 Genovesa Island is a highlight of many Galapagos trips with the collapsed volcano formation playing host to large populations of frigates and the unforgettable red footed booby. 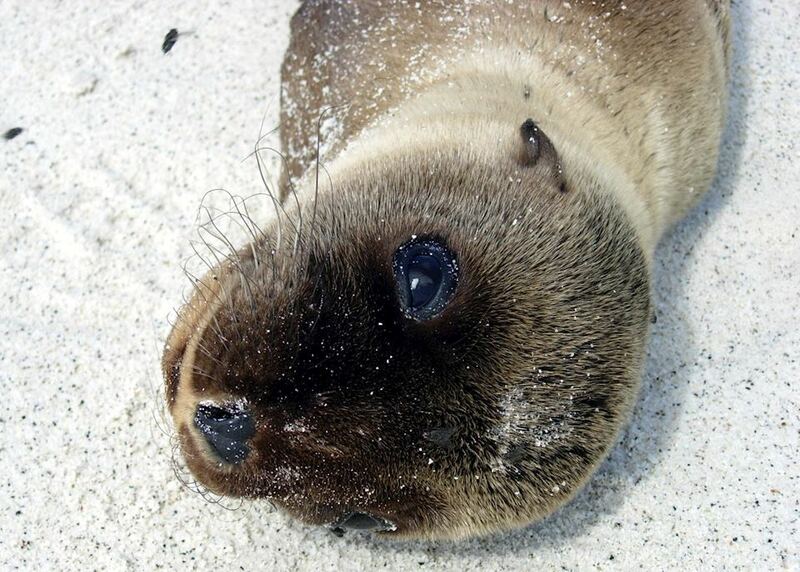 You'll spend the day walking the paths of Darwin Bay and El Barranco as well as snorkelling in the sunken caldera. The cruise continues on to Bartolome Island where you'll hike to the summit, offering panoramic views over Pinnacle Rock. 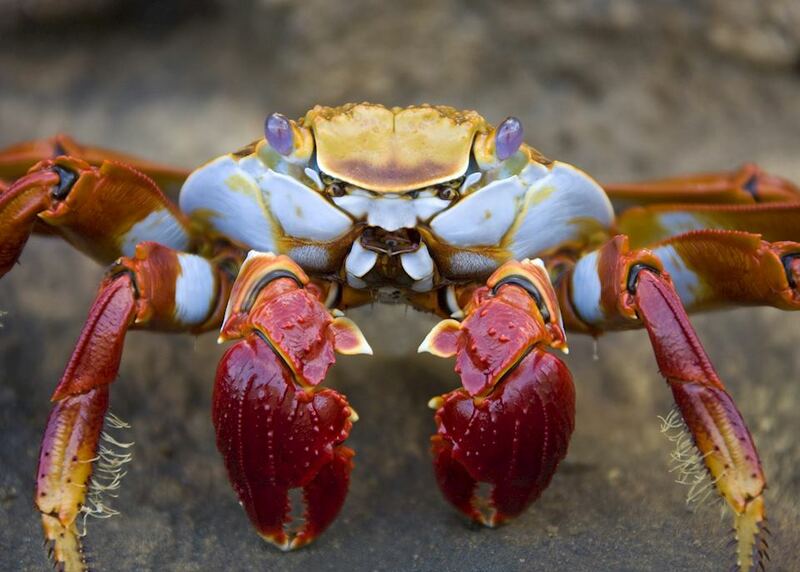 After you'll experience the volcanic rock of Sullivan Bay which makes way to a white coral sand beach, home to Sally Lightfoot crabs and sea lions. 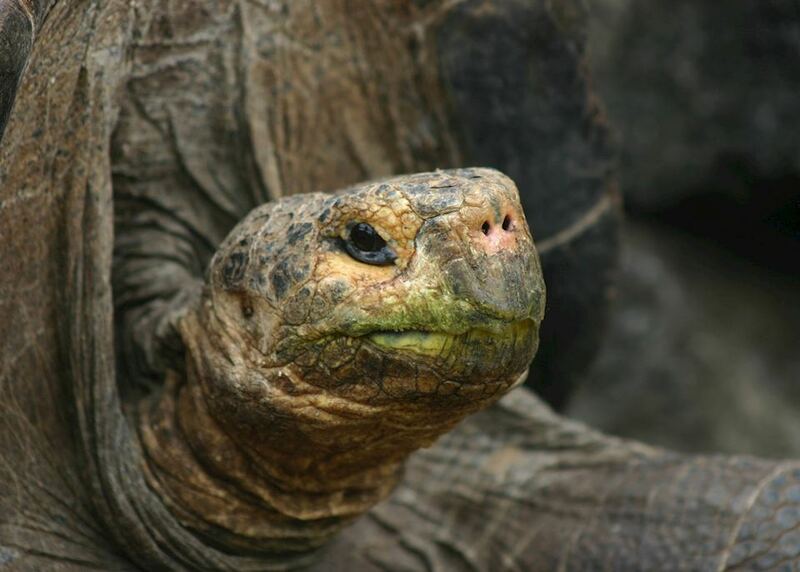 This morning enjoy a visit Isabela Island's tortoise breeding centre to see and learn about the iconic Galapagos Tortoise. 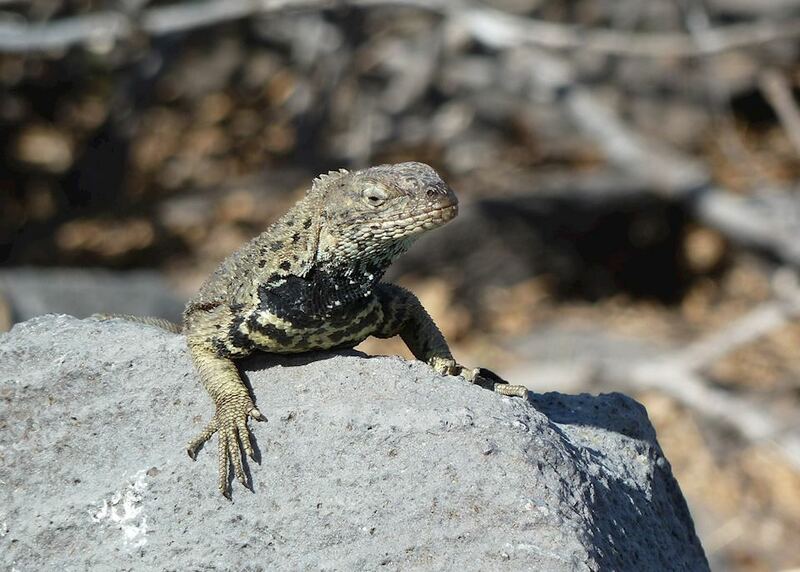 In the afternoon you take a guided hike to the top of Sierra Negra Volcano. It's a steep climb but the views from the crater rim (the second largest in the world) are expansive. 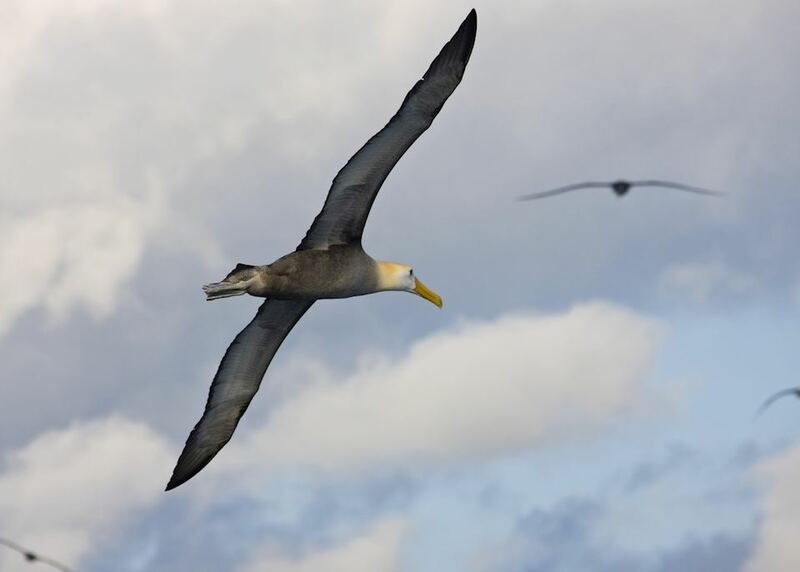 Continuing up the western coast of Isabela, the ship will stop at Elizabeth Bay for a panga ride to explore the mangroves, spotting sea turtles and penguins along the way. 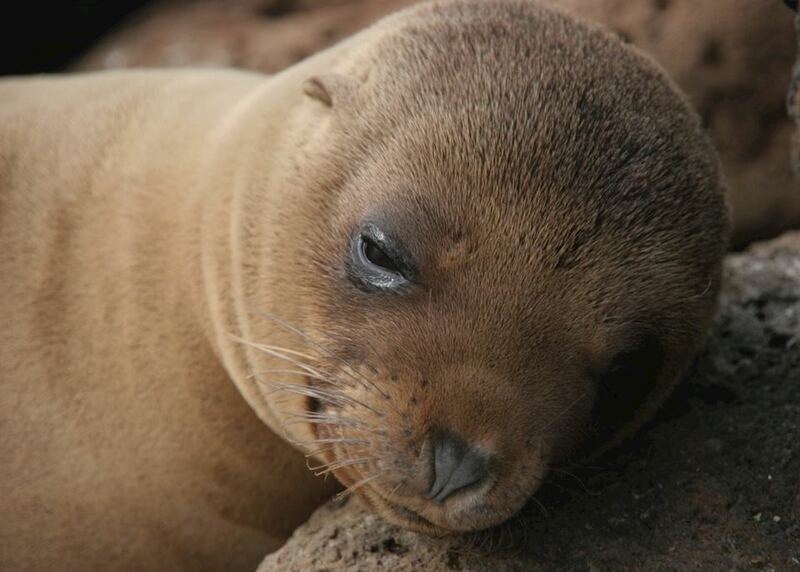 The afternoon will be spent at Urbina Bay, a reef that was raised out of the water from tectonic movement. 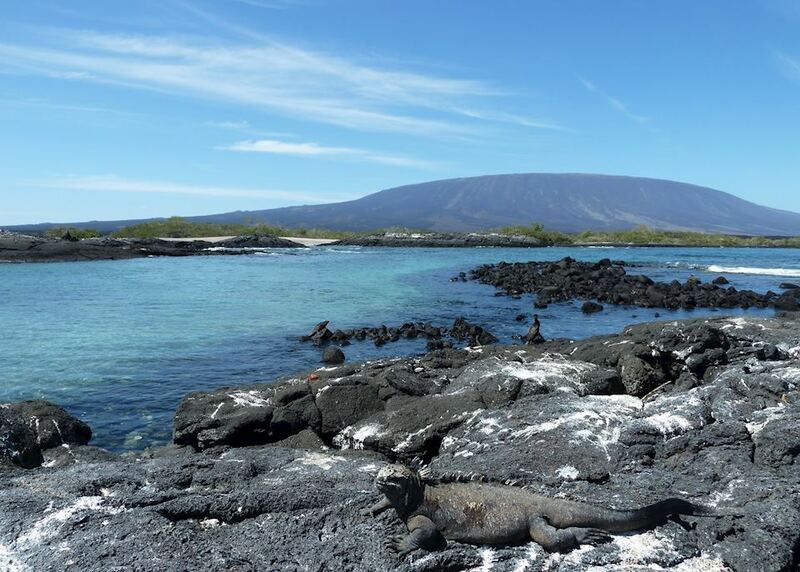 You'll be able to snorkel here in addition to spotting land iguanas, sea turtles, rays and flightless cormorants. The morning visit to Tagus cove will allow you to walk this former whaler and pirate shelter, with stunning views of Darwin and Wolf volcanoes in the distance. 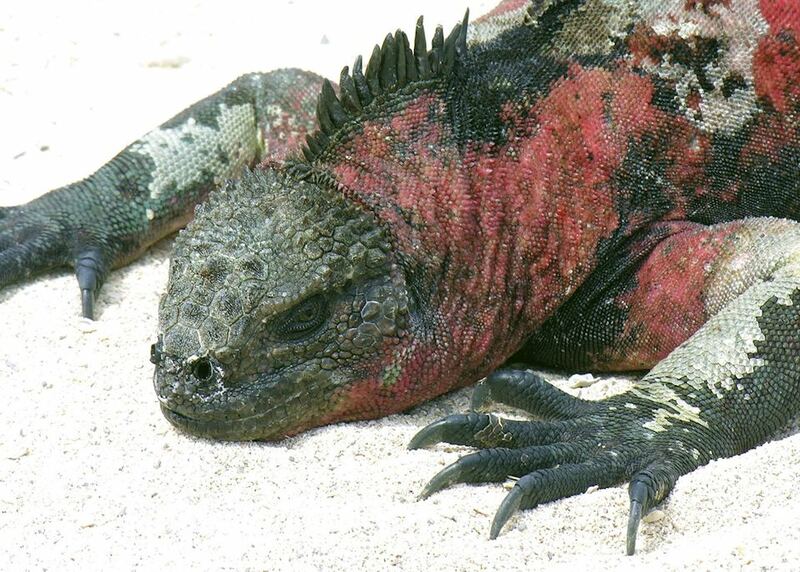 The afternoon visit to Punta Espinoza will get you up close to the largest marine iguana colony in the Galapagos. 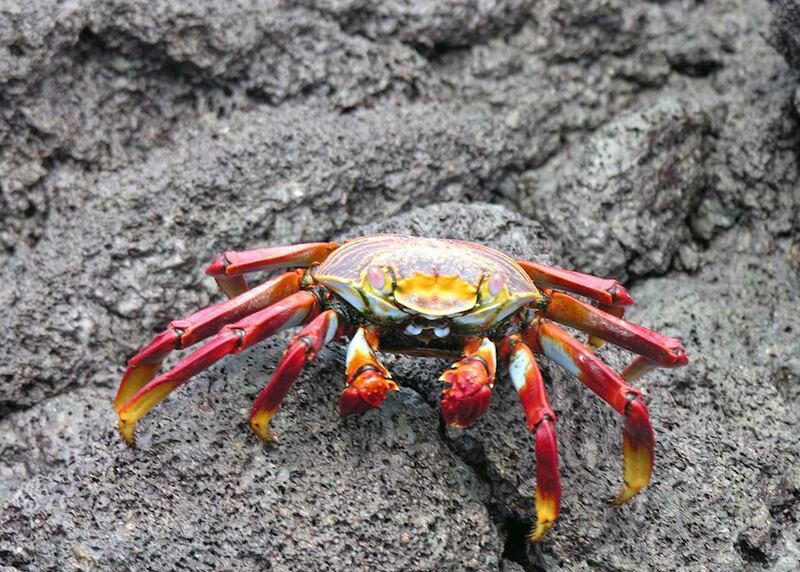 The beauty of this remote part of Isabela puts the amazing wildlife into perspective. 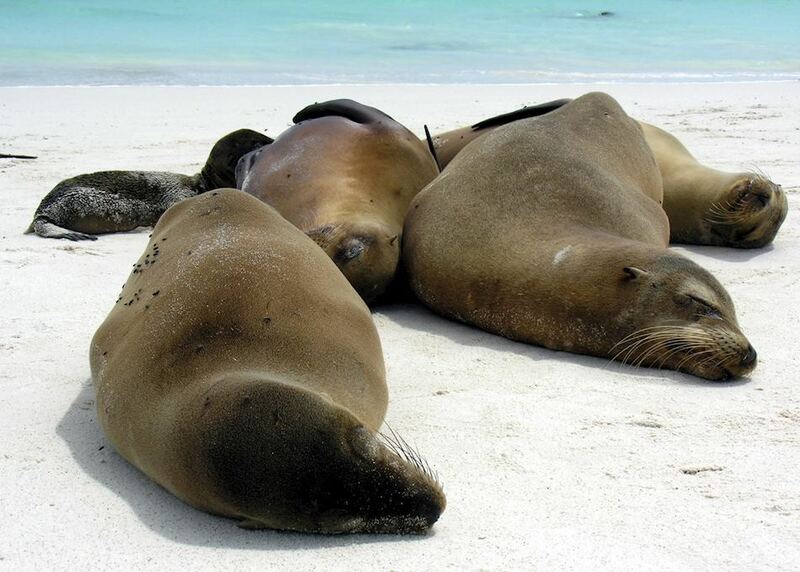 Today you'll visit Rabida Island for a walk along the red sand beaches created by unusually high iron deposits. 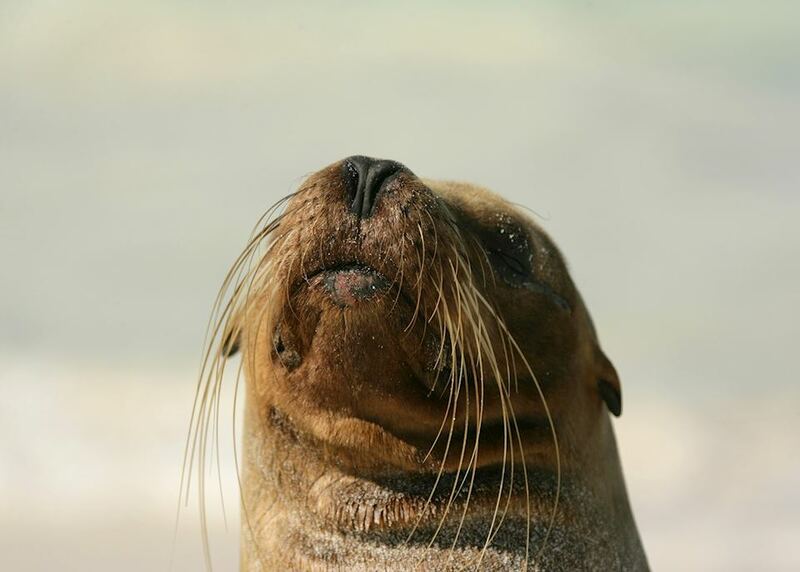 Sea lions are typically abundant here and the trails will take you past an interesting lagoon surrounded by palo santo trees. 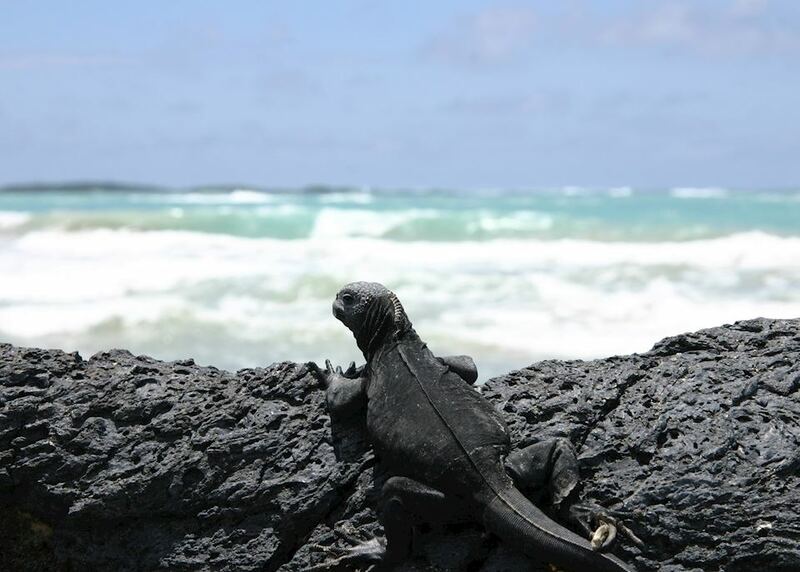 After lunch you'll be able to relax at Playa Espumilla, one of the Galapagos' most beautiful beaches, with snorkelling options available to explore the coast. 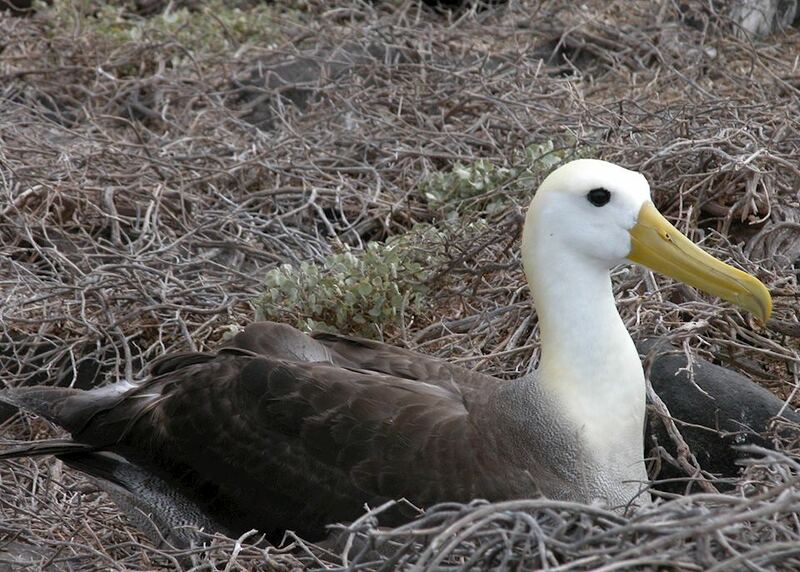 The trip finished with a visit to Daphne Island where the blue-footed boobies, frigatebirds and finches will wish you farewell. 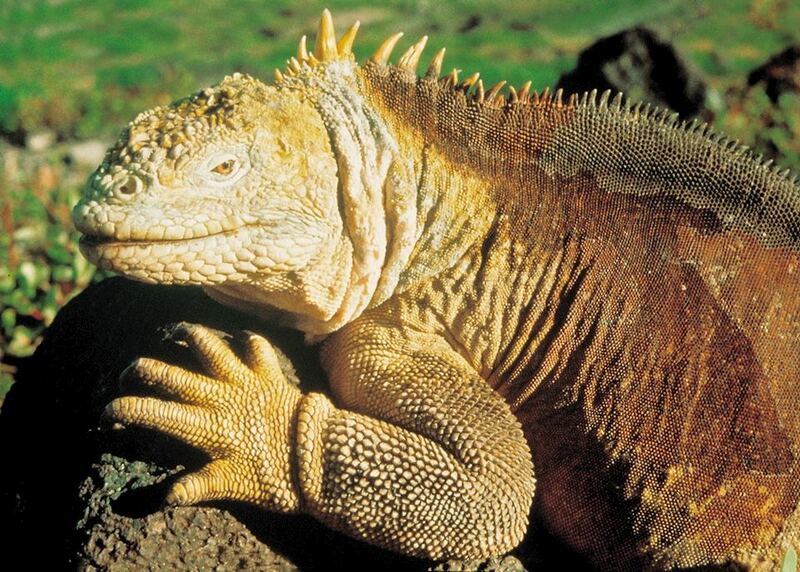 You'll then transfer to the airport in time for your flight back to mainland Ecuador and connection home. 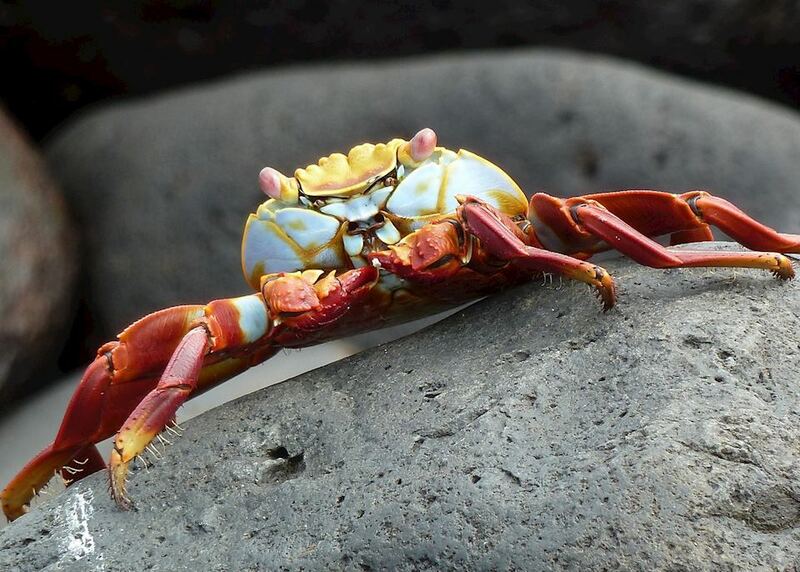 The specialist who designs your trip to the Galapagos Islands will have explored the country many times and, in some cases, lived there. Their first-hand knowledge gives us the belief that no other travel company can match our expertise in helping you plan your trip. Your dedicated specialist will take the time to understand your preferences and build them into an itinerary to match, working to your budget. He or she will keep perfecting it until you’re completely happy and ready to book.